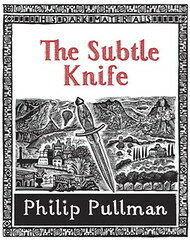 I couldn’t very well write about Steve Augarde as author / illustrator and leave out Philip Pullman, who has written some of my favourite books: the “His Dark Materials” series. This is the best kind of book: an excellent gripping story that entertains and delights, but also touches on those issues close to my heart. The beautiful complexity of the issues he touches upon, of authority entangled by love, freedom and pain, puberty and purity. Apparently he is about to release another part of this series – “Once Upon a Time in the North”. They include comments by him on each drawing. The rest of the site is very interesting also. Also, Marijke sent me this link to a page about him which contains his own list of books he recommends near the bottom of the page. Nice blog! 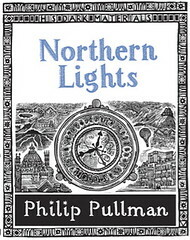 I found it looking for information on “Northern Lights,” of my favorite children’s books. 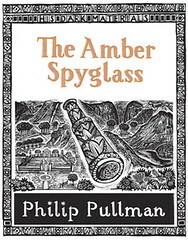 Can you tell me whether the illustrations you posted above are covers of a specific edition, or interior illustrations? Thanks! I adored these books as a child and reading them again as an adult found them still amazing!